A minimalist 600mm wall mounted vanity unit with quality stylish mid edge' ceramic basin top, make the most of your bathroom with our practical and attractive modern white gloss furniture options. Rigid backboard and soft close doors in 18mm MDF. Please note Tap & waste not included. 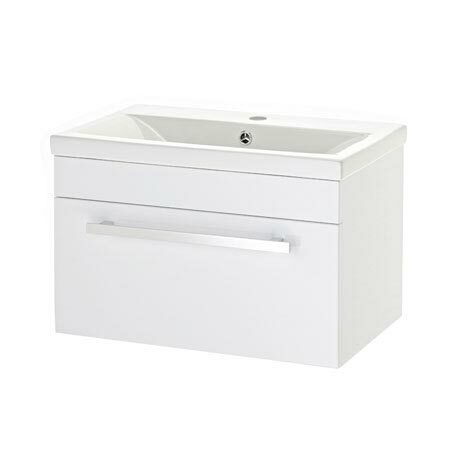 Robust unit and ceramic basin is a very modern shape.